Sometimes I’ll buy a book and secret it aside to read later as a kind of reward for making it through some heavier material. Research monographs don’t always do the job for which they are required in the commuter’s life—keeping me awake on a long and tiresome bus ride. I look forward to the book that has more appeal, and I don’t want to rush through it right away. I picked up Roger Clarke’s Ghosts, A Natural History: 500 Years of Searching for the Truth in Princeton’s wonderful Labyrinth just after Christmas (the traditional time, I learned, for telling ghost stories). Now that spring is more or less firmly in place, and I’ve gotten through some erudite studies that I might use for an academic paper or two, I picked it up to pass the time on my weary ride. As regular readers will know, ghosts have long been a preoccupation of mine, but one on which I’ve always been ambivalent. Clarke doesn’t set out to prove anything here. His book is more experiential than agenda-driven. He begins with the simple observation that people do see ghosts. Lamenting that he himself has never seen one, Clarke sets out upon a partially autobiographical explanation of where this fascination began. Being from the United Kingdom—often cited as the most haunted country in the world—he goes through some of the more famous accounts with a sharp eye. Crying shenanigans when they’re obviously there, he questions how one can claim that any one country is more haunted than another. More importantly, he notes how seeing ghosts is a marker of class. Historically, the rise of the middle class led to the death of the ghosts. The rich and the poor see ghosts more often. Those in the middle associate such sightings with poor education, while those who are most educated and refined take ghosts for granted. It is only with the rise of reality television, the true opiate of the middle class, that ghost belief has become acceptable in the broad center. Clarke also frames his work against the religious background that Catholics, with their belief in purgatory, had room for ghosts in their theology. Protestants tended to see anything reported as a ghost as a demon, since the soul either went to heaven or hell after death, meaning that there’s no ghost left to wander around. 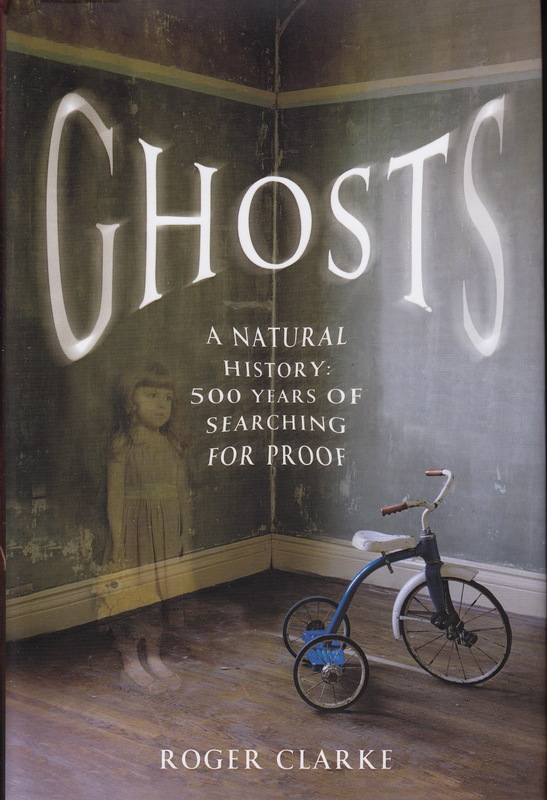 While doubtlessly skeptics exist, I have always been intrigued that even hard-nosed scientific views of the paranormal world tend to go a bit softer on ghosts than they do on cryptids and aliens. I suspect that’s because ghost reports have been around as long as written records and, presumably, long before. People have always seen ghosts, and in such large numbers that it is difficult to simply call them names and say they’re foolish. Yes, we may be a credulous lot, but we can still find books like Ghosts at a reputable bookstore. And we can tuck them away as guilty pleasures to take the chill off an otherwise very dull ride. Among the X-Files episodes that bothered me the most was “Signs and Wonders,” where Mulder and Scully visit the snake-handlers. The human fear of snakes is so deep that it reaches back beyond our split from chimpanzees—our curious cousins who also fear serpents. The reality show Snake Salvation, which I’ve only seen once, has lost its star due to, you guessed it, snake-bite. I don’t rejoice in the death of Rev. Jamie Coots; it is tragic when a person with such faith falls victim to it. Nobody castigated Steve Irwin for swimming with rays, however. It comes with the job. Snake-handling tends to be an off-shoot of an extreme literalism. 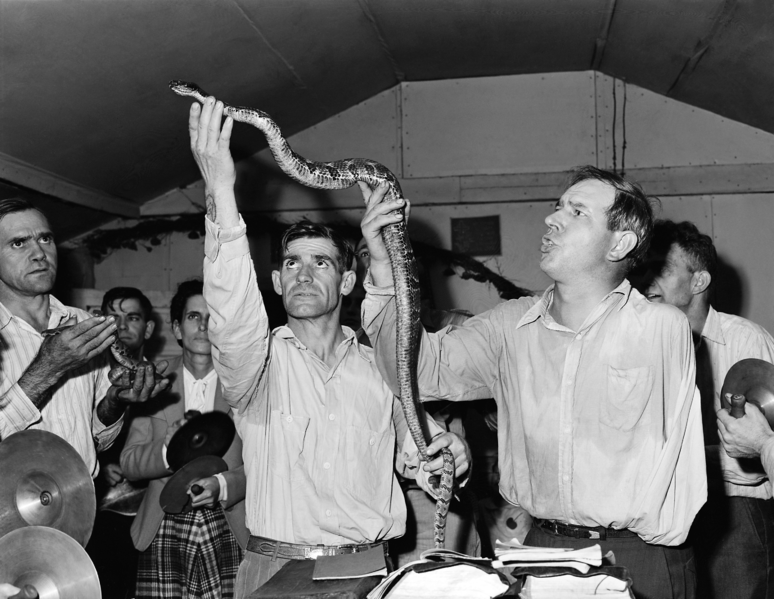 Many of the rest of the Christian mainstream are content to know that the snake-handling passage (note the singular) in Mark is a disputed section of the Gospel. It is likely not original and carries weight only for those who accept the King James without question. It doesn’t command the handling of snakes; it is merely a suggestion. According to the story on USA Today, Rev. Coots refused medical treatment after his bite and soon died. Snake bites are not as fatal as they once were—with proper treatment they are often survivable. The faith, however, that declares asps risk-free comes with a caveat that doesn’t allow for medical intervention. If it’s your time, it’s your time. If it weren’t for reality television, probably none of us would even know. Snake-handlers do get bitten from time to time, just as surely as Baptists dry out once they get out of the water. It is the way of nature. Religion tends to view itself as capable of overcoming nature in various ways, and that seems to draw in the reality TV crews. Not only Jamie Coots, but the famed evangelical Duck Dynasty took a hit recently. That’s because the stars are only people. When we put them on the magic box we either worship them or wait for them to fall. Authentic faith, I firmly believe, does not come through television. Shortly after the invention of the tube, evangelists found their way onto the airwaves. But reality television is necessarily about the slightly off-kilter, those who aren’t like the cookie-cutter executives in Manhattan or Los Angeles. Chances are they’ll be from the south and people will watch with incredulity. Isn’t that what belief is all about? Faith is a wonderful thing when it works. Like most non-empirical phenomena, however, it doesn’t always work like view on demand. Snakes evolved to bite, and people evolved to believe.